The former minister says he visited the Gupta residence and business premises eight times as deputy and as finance minister. 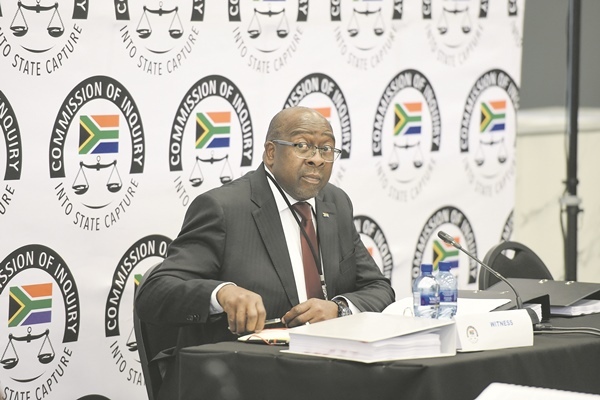 Former finance minister Nhlanhla Nene explained at the commission of inquiry into state capture why he vacated his ministerial post following his testimony at the commission last year and revelations that he had met with the controversial Gupta family alleged to be at the centre of state capture. Nene said the revelation that he had met the Guptas and had been dishonest about this during a television interview from years ago made him feel that he should step down as finance minister because he occupied an office that was beyond reproach. He told the commission that he visited the Gupta residence and businesses about eight times, six times when he was still the deputy minister of finance and two times as minister of finance. He said he stepped down as finance minister last year because he felt that not being honest about meeting the Guptas had been an “impropriety” on his part. However, Nene explained to the commission that the question of him meeting the Guptas had been “an ambush” at the time because he thought the television interview would only discuss his dismissal at the time. Nene was axed by former president Jacob Zuma in December 2015. “I took the easy way of not being honest,” Nene said. He said he opted to vacate his position last year to make matters easy for the president, Cyril Ramaphosa, adding that he stepped down from the position after he consulted the head of state. Nene said that following his testimony last year, he made several attempts over that weekend to contact the president about his decision to step down and he eventually got ahold of Ramaphosa on Monday when he, Nene, was due to fly out of the country on an important trip, which he said he felt would have been inappropriate. Nene said the president accepted his resignation with “a heavy heart”. He, however, added that considering the controversy around the family at the time, he concedes that he could have limited his visits. Nene said during the eight visits, the Gupta family never asked him to do any favours but they simply had casual discussions about economic issues and that the Guptas would try to promote their publications, which include The Thinker and the defunct New Age. “It would have been difficult for them to talk about any business with government after they portrayed themselves as not doing business with government,” Nene told the commission.